No scientific method cannot prove the age of the earth and the universe, and that includes the ones we have listed here. Although age indicators are called “clocks” they aren’t, because all ages result from calculations that necessarily involve making assumptions about the past. Always the starting time of the “clock” has to be assumed as well as the way in which the speed of the clock has varied over time. Further, it has to be assumed that the clock was never disturbed. 1. DNA in “ancient” fossils. DNA extracted from bacteria that are supposed to be 425 million years old brings into question that age, because DNA could not last more than thousands of years. 2. Lazarus bacteria—bacteria revived from salt inclusions supposedly 250 million years old, suggest the salt is not millions of years old. See also Salty saga. 3. The decay in the human genome due to multiple slightly deleterious mutations each generation is consistent with an origin several thousand years ago. Sanford, J., Genetic entropy and the mystery of the genome, Ivan Press, 2005; see review of the book and the interview with the author in Creation 30(4):45–47,September 2008. This has been confirmed by realistic modelling of population genetics, which shows that genomes are young, in the order of thousands of years. See Sanford, J., Baumgardner, J., Brewer, W., Gibson, P. and Remine, W., Mendel’s Accountant: A biologically realistic forward-time population genetics program, SCPE 8(2):147–165, 2007. 4. The data for “mitochondrial Eve” are consistent with a common origin of all humans several thousand years ago. 5. Very limited variation in the DNA sequence on the human Y-chromosome around the world is consistent with a recent origin of mankind, thousands not millions of years. 6. Many fossil bones “dated” at many millions of years old are hardly mineralized, if at all. This contradicts the widely believed old age of the earth. See, for example, Dinosaur bones just how old are they really? 7. Dinosaur blood cells, blood vessels, proteins (haemoglobin, osteocalcin, collagen) are not consistent with their supposed age, but make more sense if the remains are young. 8. Lack of 50:50 racemisation of amino acids in fossils “dated” at millions of years old, whereas complete racemisation would occur in thousands of years. 9. Living fossils—jellyfish, graptolites, coelacanth, stromatolites, Wollemi pine and hundreds more. That many hundreds of species could remain so unchanged, for even up to billions of years in the case of stromatolites, speaks against the millions and billions of years being real. 10. Discontinuous fossil sequences. E.g. Coelacanth, Wollemi pine and various “index” fossils, which are present in supposedly ancient strata, missing in strata representing many millions of years since, but still living today. Such discontinuities speak against the interpretation of the rock formations as vast geological ages—how could Coelacanths have avoided being fossilized for 65 million years, for example? See The “Lazarus effect”: rodent “resurrection”! 11. 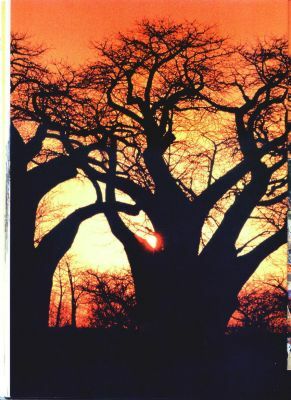 The ages of the world’s oldest living organisms, trees, are consistent with an age of the earth of thousands of years. 12. Scarcity of plant fossils in many formations containing abundant animal / herbivore fossils. E.g., the Morrison Formation (Jurassic) in Montana. See Origins 21(1):51–56, 1994. Also the Coconino sandstone in the Grand Canyon has many track-ways (animals), but is almost devoid of plants. Implication: these rocks are not ecosystems of an “era” buried in situ over eons of time as evolutionists claim. The evidence is more consistent with catastrophic transport then burial during the massive global Flood of Noah’s day. This eliminates supposed evidence for millions of years. 13. Thick, tightly bent strata without sign of melting or fracturing. E.g. 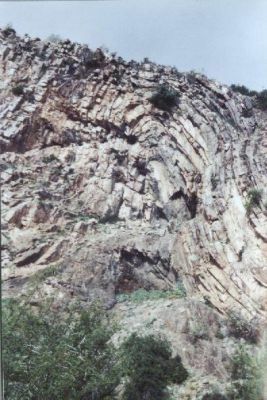 the Kaibab upwarp in Grand Canyon indicates rapid folding before the sediments had time to solidify (the sand grains were not elongated under stress as would be expected if the rock had hardened). This wipes out hundreds of millions of years of time and is consistent with extremely rapid formation during the biblical Flood. See Warped earth (written by a geophysicist). 14. Polystrate fossils—tree trunks in coal (Auracaria spp. king billy pines, celery top pines, in southern hemisphere coal). There are also polystrate tree trunks in the Yellowstone fossilized forests and Joggins, Nova Scotia and in many other places. Polystrate fossilized lycopod trunks occur in northern hemisphere coal, again indicating rapid burial / formation of the organic material that became coal. 15. Experiments show that with conditions mimicking natural forces, coal forms quickly; in weeks for brown coal to months for black coal. It does not need millions of years. Furthermore, long time periods could be an impediment to coal formation because of the increased likelihood of the permineralization of the wood, which would hinder coalification. 16. Experiments show that with conditions mimicking natural forces, oil forms quickly; it does not need millions of years, consistent with an age of thousands of years. 17. Experiments show that with conditions mimicking natural forces, opals form quickly, in a matter of weeks, not millions of years, as had been claimed. 18. Evidence for rapid, catastrophic formation of coal beds speaks against the hundreds of millions of years normally claimed for this, including Z-shaped seams that point to a single depositional event producing these layers. 19. Evidence for rapid petrifaction of wood speaks against the need for long periods of time and is consistent with an age of thousands of years. 20. Clastic dykes and pipes (intrusion of sediment through overlying sedimentary rock) show that the overlying rock strata were still soft when it happened. This drastically compresses the time scale for the deposition of the penetrated rock strata. See, Walker, T., Fluidisation pipes: Evidence of large-scale watery catastrophe, Journal of Creation (TJ) 14(3):8–9, 2000. 21. Para(pseudo)conformities—where one rock stratum sits on top of another rock stratum but with supposedly millions of years of geological time missing, yet the contact plane lacks any significant erosion; that is, it is a “flat gap”. E.g. Coconino sandstone / Hermit shale in the Grand Canyon (supposedly a 10 million year gap in time). The thick Schnebly Hill Formation (sandstone) lies between the Coconino and Hermit in central Arizona. See Austin, S.A., Grand Canyon, monument to catastrophe, ICR, Santee, CA, USA, 1994 and Snelling, A., The case of the “missing” geologic time, Creation 14(3):31–35, 1992. 22. The presence of ephemeral markings (raindrop marks, ripple marks, animal tracks) at the boundaries of paraconformities show that the upper rock layer has been deposited immediately after the lower one, eliminating many millions of “gap” time. See references in Para(pseudo)conformities. 23. Inter-tonguing of adjacent strata that are supposedly separated by millions of years also eliminates many millions of years of supposed geologic time. The case of the “missing” geologic time; Mississippian and Cambrian strata interbedding: 200 million years hiatus in question, CRSQ 23(4):160–167. 24. The lack of bioturbation (worm holes, root growth) at paraconformities (flat gaps) reinforces the lack of time involved where evolutionary geologists insert many millions of years to force the rocks to conform with the “given” timescale of billions of years. 25. The almost complete lack of clearly recognizable soil layers anywhere in the geologic column. Geologists do claim to have found lots of “fossil” soils (paleosols), but these are quite different to soils today, lacking the features that characterize soil horizons; features that are used in classifying different soils. Every one that has been investigated thoroughly proves to lack the characteristics of proper soil. If “deep time” were correct, with hundreds of millions of years of abundant life on the earth, there should have been ample opportunities many times over for soil formation. See Klevberg, P. and Bandy, R., CRSQ 39:252–68; CRSQ 40:99–116, 2003; Walker, T., Paleosols: digging deeper buries “challenge” to Flood geology, Journal of Creation 17(3):28–34, 2003. 26. Limited extent of unconformities (unconformity: a surface of erosion that separates younger strata from older rocks). Surfaces erode quickly (e.g. Badlands, South Dakota), but there are very limited unconformities. There is the “great unconformity” at the base of the Grand Canyon, but otherwise there are supposedly ~300 million years of strata deposited on top without any significant unconformity. This is again consistent with a much shorter time of deposition of these strata. See Para(pseudo)conformities. 27. The amount of salt in the world’s oldest lake contradicts its supposed age and suggests an age more consistent with its formation after Noah’s Flood, which is consistent with a young age of the earth. 28. The discovery that underwater landslides (“turbidity currents”) travelling at some 50 km/h can create huge areas of sediment in a matter of hours (Press, F., and Siever, R., Earth, 4th ed., Freeman & Co., NY, USA, 1986). Sediments thought to have formed slowly over eons of time are now becoming recognized as having formed extremely rapidly. See for example, A classic tillite reclassified as a submarine debris flow (Technical). 29. Flume tank research with sediment of different particle sizes show that layered rock strata that were thought to have formed over huge periods of time in lake beds actually formed very quickly. Even the precise layer thicknesses of rocks were duplicated after they were ground into their sedimentary particles and run through the flume. See Experiments in stratification of heterogeneous sand mixtures, Sedimentation Experiments: Nature finally catches up! and Sandy Stripes Do many layers mean many years? 30. Observed examples of rapid canyon formation; for example, Providence Canyon in southwest Georgia, Burlingame Canyon near Walla Walla, Washington, and Lower Loowit Canyon near Mount St Helens. The rapidity of the formation of these canyons, which look similar to other canyons that supposedly took many millions of years to form, brings into question the supposed age of the canyons that no one saw form. 31. Observed examples of rapid island formation and maturation, such as Surtsey, which confound the notion that such islands take long periods of time to form. See also, Tuluman—A Test of Time. 32. Rate of erosion of coastlines, horizontally. E.g. Beachy Head, UK, loses a metre of coast to the sea every six years. 33. Rate of erosion of continents vertically is not consistent with the assumed old age of the earth. See Creation 22(2):18–21. 34. Existence of significant flat plateaux that are “dated” at many millions of years old (“elevated paleoplains”). An example is Kangaroo Island (Australia). C.R. 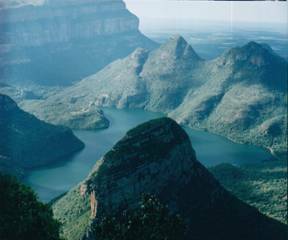 Twidale, a famous Australian physical geographer wrote: “the survival of these paleoforms is in some degree an embarrassment to all the commonly accepted models of landscape development.” Twidale, C.R. On the survival of paleoforms, American Journal of Science 5(276):77–95, 1976 (quote on p. 81). See Austin, S.A., Did landscapes evolve? Impact 118, April 1983. 35. The recent and almost simultaneous origin of all the high mountain ranges around the world—including the Himalayas, the Alps, the Andes, and the Rockies—which have undergone most of the uplift to their present elevations beginning “five million” years ago, whereas mountain building processes have supposedly been around for up to billions of years. See Baumgardner, J., Recent uplift of today’s mountains. Impact 381, March 2005. 36. Water gaps. These are gorges cut through mountain ranges where rivers run. They occur worldwide and are part of what evolutionary geologists call “discordant drainage systems”. They are “discordant” because they don’t fit the deep time belief system. The evidence fits them forming rapidly in a much younger age framework where the gorges were cut in the recessive stage / dispersive phase of the global Flood of Noah’s day. See Oard, M., Do rivers erode through mountains? Water gaps are strong evidence for the Genesis Flood, Creation 29(3):18–23, 2007. 37. Erosion at Niagara Falls and other such places is consistent with just a few thousand years since the biblical Flood. However, much of the Niagara Gorge likely formed very rapidly with the catastrophic drainage of glacial Lake Agassiz; see: Climate change, Niagara and catastrophe. 38. River delta growth rate is consistent with thousands of years since the biblical Flood, not vast periods of time. The argument goes back to Mark Twain. E.g. 1. Mississippi—Creation Research Quarterly (CRSQ) 9:96–114, 1992; CRSQ14:77; CRSQ 25:121–123. E.g. 2 Tigris–Euphrates: CRSQ 14:87, 1977. 39. Underfit streams. River valleys are too large for the streams they contain. Dury speaks of the “continent-wide distribution of underfit streams”. Using channel meander characteristics, Dury concluded that past streams frequently had 20–60 times their current discharge. This means that the river valleys would have been carved very quickly, not slowly over eons of time. See Austin, S.A., Did landscapes evolve? Impact 118, 1983. 40. Amount of salt in the sea. Even ignoring the effect of the biblical Flood and assuming zero starting salinity and all rates of input and removal so as to maximize the time taken to accumulate all the salt, the maximum age of the oceans, 62 million years, is less than 1/50 of the age evolutionists claim for the oceans. This suggests that the age of the earth is radically less also. 41. The amount of sediment on the sea floors at current rates of land erosion would accumulate in just 12 million years; a blink of the eye compared to the supposed age of much of the ocean floor of up to 3 billion years. Furthermore, long-age geologists reckon that higher erosion rates applied in the past, which shortens the time frame. From a biblical point of view, at the end of Noah’s Flood lots of sediment would have been added to the sea with the water coming off the unconsolidated land, making the amount of sediment perfectly consistent with a history of thousands of years. 42. Iron-manganese nodules (IMN) on the sea floors. The measured rates of growth of these nodules indicates an age of only thousands of years. Lalomov, A.V., 2006. Mineral deposits as an example of geological rates. CRSQ 44(1):64–66. 43. The age of placer deposits (concentrations of heavy metals such as tin in modern sediments and consolidated sedimentary rocks). The measured rates of deposition indicate an age of thousands of years, not the assumed millions. See Lalomov, A.V., and Tabolitch, S.E., 2000. Age determination of coastal submarine placer, Val’cumey, northern Siberia. Journal of Creation (TJ) 14(3):83–90. 44. Pressure in oil / gas wells indicate the recent origin of the oil and gas. If they were many millions of years old we would expect the pressures to equilibrate, even in low permeability rocks. “Experts in petroleum prospecting note the impossibility of creating an effective model given long and slow oil generation over millions of years (Petukhov, 2004). In their opinion, if models demand the standard multimillion-years geochronological scale, the best exploration strategy is to drill wells on a random grid.” Lalomov, A.V., 2007. Mineral deposits as an example of geological rates. CRSQ 44(1):64–66. 45. Direct evidence that oil is forming today in the Guaymas Basin and in Bass Strait is consistent with a young earth (although not necessary for a young earth). 46. Rapid reversals in paleomagnetism undermine use of paleomagnetism in long ages dating of rocks and speak of rapid processes, compressing the long-age time scale enormously. 47. The pattern of magnetization in the magnetic stripes where magma is welling up at the mid-ocean trenches argues against the belief that reversals take many thousands of years and rather indicates rapid sea-floor spreading as well as rapid magnetic reversals, consistent with a young earth (Humphreys, D.R., Has the Earth’s magnetic field ever flipped? Creation Research Quarterly 25(3):130–137, 1988). 48. Measured rates of stalactite and stalagmite growth in limestone caves are consistent with a young age of several thousand years. See also articles on limestone cave formation. 49. The decay of the earth’s magnetic field. Exponential decay is evident from measurements and is consistent with theory of free decay since creation, suggesting an age of the earth of only thousands of years. For further evidence that it follows exponential decay with a time constant of 1611 years (±10) see: Humphreys, R., Earth’s magnetic field is decaying steadily—with a little rythm, CRSQ 47(3):193–201; 2011. 50. Excess heat flow from the earth is consistent with a young age rather than billions of years, even taking into account heat from radioactive decay. SeeWoodmorappe, J., 1999. Lord Kelvin revisited on the young age of the earth. Journal of Creation (TJ)13(1):14, 1999. 51. Carbon-14 in coal suggests ages of thousands of years and clearly contradict ages of millions of years. 52. Carbon-14 in oil again suggests ages of thousands, not millions, of years. 53. Carbon-14 in fossil wood also indicates ages of thousands, not millions, of years. 54. Carbon-14 in diamonds suggests ages of thousands, not billions, of years. Note that attempts to explain away carbon-14 in diamonds, coal, etc., such as by neutrons from uranium decay converting nitrogen to C-14 do not work. See: Objections. 55. Incongruent radioisotope dates using the same technique argue against trusting the dating methods that give millions of years. 56. Incongruent radioisotope dates using different techniques argue against trusting the dating methods that give millions of years (or billions of years for the age of the earth). 57. Demonstrably non-radiogenic “isochrons” of radioactive and non-radioactive elements undermine the assumptions behind isochron “dating” that gives billions of years. “False” isochrons are common. 58. Different faces of the same zircon crystal and different zircons from the same rock giving different “ages” undermine all “dates” obtained from zircons. 59. Evidence of a period of rapid radioactive decay in the recent past (lead and helium concentrations and diffusion rates in zircons) point to a young earth explanation. 61. Lead in zircons from deep drill cores vs. shallow ones. They are similar, but there should be less in the deep ones due to the higher heat causing higher diffusion rates over the usual long ages supposed. If the ages are thousands of years, there would not be expected to be much difference, which is the case (Gentry, R., et al., Differential lead retention in zircons: Implications for nuclear waste containment, Science 216(4543):296–298, 1982; DOI: 10.1126/science.216.4543.296). 62. Pleochroic halos produced in granite by concentrated specks of short half-life elements such as polonium suggest a period of rapid nuclear decay of the long half-life parent isotopes during the formation of the rocks and rapid formation of the rocks, both of which speak against the usual ideas of geological deep time and a vast age of the earth. See, Radiohalos: Startling evidence of catastrophic geologic processes, Creation28(2):46–50, 2006. 63. Squashed pleochroic halos (radiohalos) formed from decay of polonium, a very short half-life element, in coalified wood from several geological eras suggest rapid formation of all the layers about the same time, in the same process, consistent with the biblical “young” earth model rather than the millions of years claimed for these events. 64. Australia’s “Burning Mountain”speaks against radiometric dating and the millions of years belief system (according to radiometric dating of the lava intrusion that set the coal alight, the coal in the burning mountain has been burning for ~40 million years, but clearly this is not feasible). 66. Recession of the moon from the earth. Tidal friction causes the moon to recede from the earth at 4 cm per year. It would have been greater in the past when the moon and earth were closer together. The moon and earth would have been in catastrophic proximity (Roche limit) at less than a quarter of their supposed age. 67. The moon’s former magnetic field. Rocks sampled from the moon’s crust have residual magnetism that indicates that the moon once had a magnetic field much stronger than earth’s magnetic field today. No plausible ‘dynamo’ hypothesis could account for even a weak magnetic field, let alone a strong one that could leave such residual magnetism in a billions-of-years time-frame. The evidence is much more consistent with a recent creation of the moon and its magnetic field and free decay of the magnetic field in the 6,000 years since then. Humphreys, D.R., The moon’s former magnetic field—still a huge problem for evolutionists, Journal of Creation 26(1):5–6, 2012. 68. Ghost craters on the moon’s maria (singular mare: dark “seas” formed from massive lava flows) are a problem for the assumed long ages. Enormous impacts evidently caused the large craters and lava flows within those craters, and this lava partly buried other, smaller impact craters within the larger craters, leaving “ghosts”. But this means that the smaller impacts can’t have been too long after the huge ones, otherwise the lava would have flowed into the larger craters before the smaller impacts. This suggests a very narrow time frame for all this cratering, and by implication the other cratered bodies of our solar system. They suggest that the cratering occurred quite quickly. See Fryman, H., Ghost craters in the sky, Creation Matters 4(1):6, 1999; A biblically based cratering theory (Faulkner); Lunar volcanoes rock long-age timeframe. 69. The presence of a significant magnetic field around Mercury is not consistent with its supposed age of billions of years. A planet so small should have cooled down enough so any liquid core would solidify, preventing the evolutionists’ “dynamo” mechanism. See also, Humphreys, D.R., Mercury’s magnetic field is young! Journal of Creation 22(3):8–9, 2008. 70. The outer planets Uranus and Neptune have magnetic fields, but they should be long “dead” if they are as old as claimed according to evolutionary long-age beliefs. Assuming a solar system age of thousands of years, physicist Russell Humphreys successfully predicted the strengths of the magnetic fields of Uranus and Neptune. 71. Jupiter’s larger moons, Ganymede, Io, and Europa, have magnetic fields, which they should not have if they were billions of years old, because they have solid cores and so no dynamo could generate the magnetic fields. This is consistent with creationist Humphreys’ predictions. See also, Spencer, W., Ganymede: the surprisingly magnetic moon, Journal of Creation 23(1):8–9, 2009. 72. Volcanically active moons of Jupiter (Io) are consistent with youthfulness (Galileo mission recorded 80 active volcanoes). If Io had been erupting over 4.5 billion years at even 10% of its current rate, it would have erupted its entire mass 40 times. Io looks like a young moon and does not fit with the supposed billions of year’s age for the solar system. Gravitational tugging from Jupiter and other moons accounts for only some of the excess heat produced. 73. The surface of Jupiter’s moon Europa. Studies of the few craters indicated that up to 95% of small craters, and many medium-sized ones, are formed from debris thrown up by larger impacts. This means that there have been far fewer impacts than had been thought in the solar system and the age of other objects in the solar system, derived from cratering levels, have to be reduced drastically (see Psarris, Spike, What you aren’t being told about astronomy, volume 1: Our created solar system DVD, available from CMI). 74. Methane on Titan (Saturn’s largest moon)—the methane should all be gone because of UV-induced breakdown. The products of photolysis should also have produced a huge sea of ethane. As the original Astrobiology paper said, “If the chemistry on Titan has gone on in steady-state over the age of the solar system, then we would predict that a layer of ethane 300 to 600 meters thick should be deposited on the surface.” No such sea is seen, which is consistent with Titan being a tiny fraction of the claimed age of the solar system. 75. The rate of change / disappearance of Saturn’s rings is inconsistent with their supposed vast age; they speak of youthfulness. 76. Enceladus, a moon of Saturn, looks young. Astronomers working in the “billions of years” mindset thought that this moon would be cold and dead, but it is a very active moon, spewing massive jets of water vapour and icy particles into space at supersonic speeds, consistent with a much younger age. Calculations show that the interior would have frozen solid after 30 million years (less than 1% of its supposed age); tidal friction from Saturn does not explain its youthful activity (Psarris, Spike, What you aren’t being told about astronomy, volume 1: Our created solar system DVD; Walker, T., 2009. Enceladus: Saturn’s sprightly moon looks young, Creation 31(3):54–55). 77. Miranda, a small moon of Uranus, should have been long since dead, if billions of years old, but its extreme surface features suggest otherwise. See Revelations in the solar system. 78. Neptune should be long since “cold”, lacking strong wind movement if it were billions of years old, yet Voyager II in 1989 found it to be otherwise—it has the fastest winds in the entire solar system. This observation is consistent with a young age, not billions of years. See Neptune: monument to creation. 79. Neptune’s rings have thick regions and thin regions. This unevenness means they cannot be billions of years old, since collisions of the ring objects would eventually make the ring very uniform. Revelations in the solar system. 80. Young surface age of Neptune’s moon, Triton—less than 10 million years, even with evolutionary assumptions on rates of impacts (see Schenk, P.M., and Zahnle, K. On the Negligible Surface Age of Triton, Icarus 192(1):135–149, 2007. <doi:10.1016/j.icarus.2007.07.004>. 81. Uranus and Neptune both have magnetic fields significantly off-axis, which is an unstable situation. When this was discovered with Uranus, it was assumed by evolutionary astronomers that Uranus must have just happened to be going through a magnetic field reversal. However, when a similar thing was found with Neptune, this AD hoc explanation was upset. These observations are consistent with ages of thousands of years rather than billions. 82. The orbit of Pluto is chaotic on a 20 million year time scale and affects the rest of the solar system, which would also become unstable on that time scale, suggesting that it must be much younger. (See: Rothman, T., God takes a nap, Scientific American259(4):20, 1988). 83. The existence of short-period comets (orbital period less than 200 years), e.g. Halley, which have a life of less than 20,000 years, is consistent with an age of the solar system of less than 10,000 years. ad hoc hypotheses have to be invented to circumvent this evidence (see Kuiper Belt). See Comets and the age of the solar system. 84. “Near-infrared spectra of the Kuiper Belt Object, Quaoar and the suspected Kuiper Belt Object, Charon, indicate both contain crystalline water ice and ammonia hydrate. This watery material cannot be much older than 10 million years, which is consistent with a young solar system, not one that is 5 billion years old.” See: The “waters above” . 85. Lifetime of long-period comets (orbital period greater than 200 years) that are sun-grazing comets or others like Hyakutake or Hale–Bopp means they could not have originated with the solar system 4.5 billion years ago. However, their existence is consistent with a young age for the solar system. Again an ad hocOort Cloud was invented to try to account for these comets still being present after billions of years. See, Comets and the age of the solar system. 86. The maximum expected lifetime of near-earth asteroids is of the order of one million years, after which they collide with the sun. And the Yarkovsky effect moves main belt asteroids into near-earth orbits faster than had been thought. This brings into question the origin of asteroids with the formation of the solar system (the usual scenario), or the solar system is much younger than the 4.5 billion years claimed. Henry, J., The asteroid belt: indications of its youth, Creation Matters11(2):2, 2006. 87. The lifetime of binary asteroids—where a tiny asteroid “moon” orbits a larger asteroid— in the main belt (they represent about 15–17% of the total): tidal effects limit the life of such binary systems to about 100,000 years. The difficulties in conceiving of any scenario for getting binaries to form in such numbers to keep up the population, led some astronomers to doubt their existence, but space probes confirmed it (Henry, J., The asteroid belt: indications of its youth, Creation Matters 11(2):2, 2006). 88. The observed rapid rate of change in stars contradicts the vast ages assigned to stellar evolution. For example, Sakurai’s Object in Sagittarius: in 1994, this star was most likely a white dwarf in the centre of a planetary nebula; by 1997 it had grown to a bright yellow giant, about 80 times wider than the sun (Astronomy & Astrophysics 321:L17, 1997). In 1998, it had expanded even further, to a red supergiant 150 times wider than the sun. But then it shrank just as quickly; by 2002 the star itself was invisible even to the most powerful optical telescopes, although it is detectable in the infrared, which shines through the dust (Muir, H., 2003, Back from the dead, New Scientist177(2384):28–31). 90. Evidence of (very) recent geological activity (tectonic movements) on the moon is inconsistent with its supposed age of billions of years and its hot origin. Watters, T.R., et al., Evidence of Recent Thrust Faulting on the Moon Revealed by the Lunar Reconnaissance Orbiter Camera, Science 329(5994):936–940, 20 August 2010; DOI: 10.1126/science.1189590 (“This detection, coupled with the very young apparent age of the faults, suggests global late-stage contraction of the Moon.”) NASA pictures support biblical origin for Moon. 91. The giant gas planets Jupiter and Saturn radiate more energy than they receive from the sun, suggesting a recent origin. Jupiter radiates almost twice as much energy as it receives from the sun, indicating that it may be less than 1 % of the presumed 4.5 billion years old solar system. Saturn radiates nearly twice as much energy per unit mass as Jupiter. See The age of the Jovian planets. 92. Speedy stars are consistent with a young age for the universe. For example, many stars in the dwarf galaxies in the Local Group are moving away from each other at speeds estimated at to 10–12 km/s. At these speeds, the stars should have dispersed in 100 Ma, which, compared with the supposed 14,000 Ma age of the universe, is a short time. See Fast stars challenge big bang origin for dwarf galaxies. 93. The ageing of spiral galaxies (much less than 200 million years) is not consistent with their supposed age of many billions of years. The discovery of extremely “young” spiral galaxies highlights the problem of this evidence for the evolutionary ages assumed. 94. The number of type I supernova remnants (SNRs) observable in our galaxy is consistent with an age of thousands of years, not millions or billions. See Davies, K., Proc. 3prd ICC, pp. 175–184, 1994. 95. The rate of expansion and size of supernovas indicates that all studied are young (less than 10,000 years). See supernova remnants. 96. Human population growth. Less than 0.5% p.a. growth from six people 4,500 years ago would produce today’s population. Where are all the people? if we have been here much longer? 97. “Stone age” human skeletons and artefacts. There are not enough for 100,000 years of a human population of just one million, let alone more people (10 million?). See Where are all the people? 98. Length of recorded history. Origin of various civilizations, writing, etc., all about the same time several thousand years ago. See Evidence for a young world. 99. Languages. Similarities in languages claimed to be separated by many tens of thousands of years speaks against the supposed ages (e.g. compare some aboriginal languages in Australia with languages in south-eastern India and Sri Lanka). See The Tower of Babel account affirmed by linguistics. 100. Common cultural “myths” speak of recent separation of peoples around the world. An example of this is the frequency of stories of an earth-destroying flood.